According to the experts, every inbox is different and unique in its own way. The Fantastic 4 consider inboxing and sender reputation as two different scenarios. Even a decent email message from a domain with a very solid reputation can still end up in the junk folder of a particular inbox because the recipient has shown that this specific message is not relevant to him; although it may be relevant for other users out there. So the million dollar question that almost every marketer asks is that why do email messages end up in SPAM or JUNK? What makes an email spammy and throws it in the junk folder? Although, there exists a bookish definition of spam, but still the realistic answer would be that spam really has no definition. It’s all about how a user interacts with the incoming email messages and which messages receive the most attention that actually signals the ISPs if an email message is relevant to the recipient or not. Believe it or not, the click through activity from the email messages have no effect on engagement nor deliverability. In fact, none of the Fantastic 4 ISPs track any clicks as they think it is a violation of privacy. The Fantastic 4 unanimously agree on a fact that there are seven signals of email engagement that have a vital role to determine how relevant your email campaigns are for a specific recipient. Email Opens : Opens are tracked by the ISPs although they don’t see it as a strong indicator for engagement. Email Replies : If a recipient replies to an email message, this is considered the strongest signal of engagement. Move to Junk : This is a very strong negative signal and in some cases (like AOL) consecutive moves to junk will never allow such emails to see the inbox again. Not Junk : This positive signal indicates that the email message should not be considered as junk / spam. Delete Without Open : A negative signal showing that the recipient didn’t like the email message just by looking at the subject line or sender. Move to Folder : This shows that the recipient really cares about the email message and wants to see it categorized. Add to Address Book : This signals the ISPs that the recipient trusts the sender and the email messages really matter. The only exception would be Outlook.com for which signal #3 (Move to Junk) will actually affect the overall sender reputation. The rest of the signals only affect how the inbox is personalized i.e whether or not an email message ends up in the inbox for a recipient, but does not affect the overall sender reputation. What should we do about the inactive recipients? Should we automatically get rid of recipients that have been inactive for 12 months or more? John Scarrow from Outlook.com answered this one by saying No, don’t get rid of them as they do not affect your sender reputation unless someone from them might flag your emails as spam. But again this does not guarantee that you won’t end up in the junk folder. We should be able to differentiate the concepts of personal inbox preference and overall sender reputation. Your sender reputation maybe very solid (no one has flagged you as spammer), but your emails may still not make it to the inbox due to absence of email engagement. Contrary to the statement given by Outlook.com, Sri Smanchi from Gmail presented the concept of ramp-up & ramp-down. When starting with a new email marketing platform, we need to gradually ramp-up in order to build reputation. Similarly, there’s a need to have a ramp-down process in place when dealing with inactive recipients to safeguard the overall sender reputation. Shift your gears to once a week instead of hitting them daily. In case you’re sending weekly, you should switch to monthly or bi-monthly. If you still get no engagement with the ramp-down method after 3 – 6 months, simply throw the question at them : Do you want to continue hearing from us? And if there’s still no response, you really need to let them go. That’s what Gmail says and recommends to the Google Marketing Team. According to the Fantastic 4, approximately 95% of all email messages received have no significant value and need to be trashed. 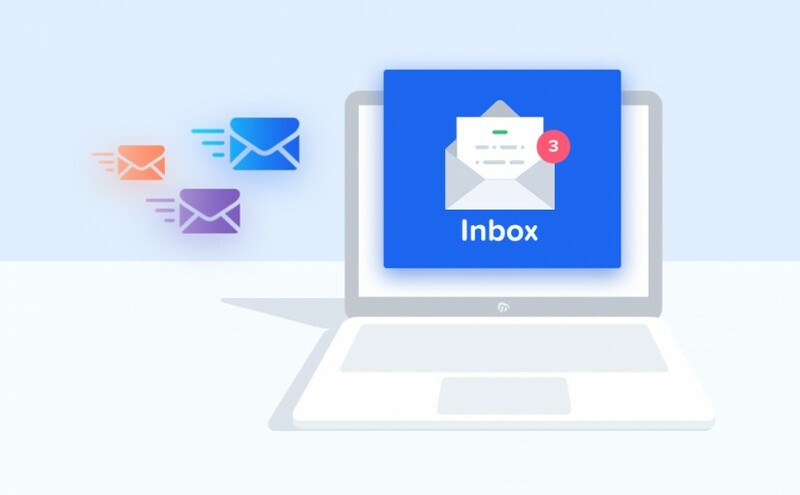 The remaining 5% consist of genuine email marketers that follow best practices but as a matter of fact, a lot of time and resources are being used by all major ISPs to filter out the bad senders. All major ISPs agree that email messages that are not authenticated are disastrous to sender reputation and engagement. This would lead the emails directly to junk or they may not be delivered at all. The basic authentication methods include adding an SPF record and using the DKIM signature key. If your domain gets caught up in a blacklist, your sender reputation is at stake until and unless you’re off the blacklist. Blacklists are one of the many variables that are used to determine the overall reputation. AOL uses it’s own internal blacklist and you’re in trouble if you’re listed there because there’s no way to get off it other than contact their Abuse desk. For Gmail, this is just one of the many signals for bad reputation. Same goes for Outlook.com where John Scarrow compared blacklisting to points on a driver’s license. ISPs don’t look at that kind of things so they don’t matter at all. But nonetheless, if certain keywords can trigger certain actions (like deleting the email without open), they can definitely have an impact on reaching the inbox for those recipients. Right Acquisition : Get started with best practices while getting subscribers to opt-in. Right Engagement : Never send the same things to everyone, use dynamic content. Right Metrics : Recipient engagement needs to be tracked using a meaningful way. Right Amount : Ramp-up at start and then Ramp-down inactive recipients. Right opt-out : Provide easily visible means for recipients to opt-out. Sri Somanchi from Gmail had some advice for everyone. Don’t try to game the system; The Promotional emails are meant to be under the Promotions tab and same goes for other categories. If someone is offering a way to to shift things around, don’t pay attention to them. Towards the end, the key takeaway from the discussion was nicely put by Justine Jordan – EEC’s 2015 Email Marketer Thought Leader of the year award winner : deliverability has become personalized. If an email message reaches the inbox for me, it may not do the same for others. What’s relevant to me, might be irrelevant to others. I may flag a message as SPAM and move to junk while others might flag the same message as NOT SPAM and move to inbox. So, deliverability has become sort of a personal matter. The best way to keep the emails coming to the inbox is to learn about what really matters to your recipients, what they actually like and what’s annoying for them; then tune up your email marketing accordingly. Want to know more? Need to solve delivery problems?